Back in November 2016, I was fortunate to get my hands on a slew of bottles from Half Hours on Earth. This small brewery from Seaforth Ontario was creating beautifully tart farmhouse ales, and they simply blew me away. Since then, Half Hours has gone from a relatively obscure brewery to a household name in the Ontario and Quebec beer-geek scene. This is largely due to the fact that HHoE took advantage of home beer delivery early on in the game, which allows you to simply go online and order whatever you’d like – and it will be shipped to your door (Ontario addresses only). This, and of course because they are brewing hot fire. As I mentioned, HHoE specializes in tart farmhouse ales. I wrote an extensive article a couple of years ago outlining several of their offerings. 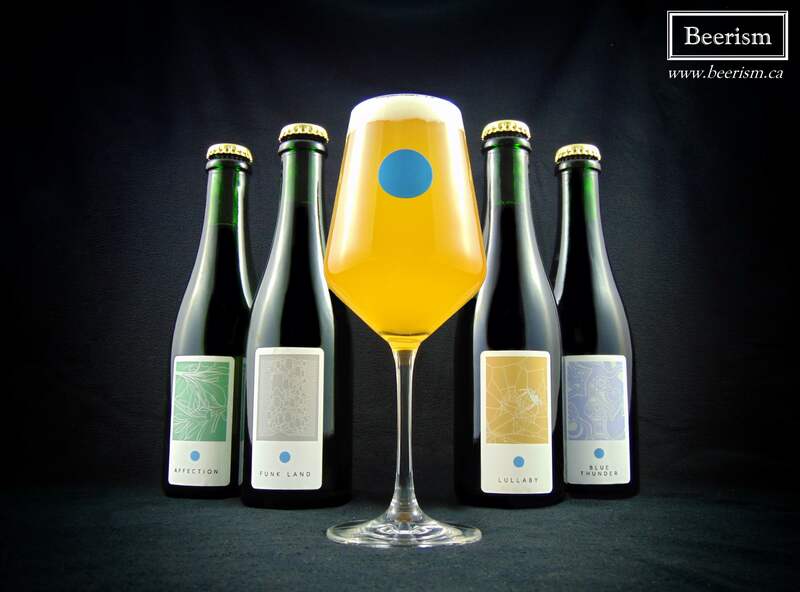 I’ve been waiting patiently since then for their barrel program to come into fruition, and today, I want to tell you about their first five barrel-aged beers ever released (including a collaboration with Montreal’s own The Wild Shack). 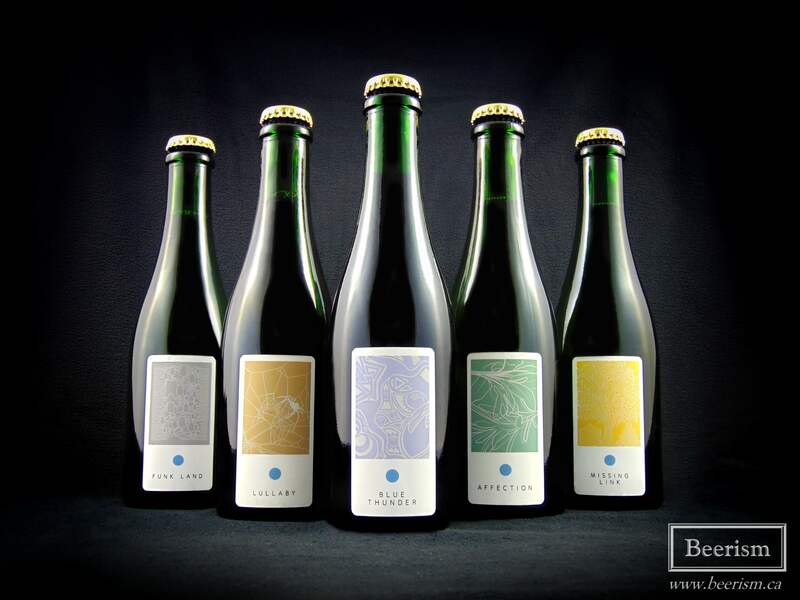 However, before that, I had a chance to speak with Kyle Teichert (brewer and co-owner) to ask him some question about the brewery’s progression over the last few years. When we last spoke you were just beginning to use barrels in some of your blends. Since then, you’ve released barrel-fermented beers, and now you have several barrel-aged beers under your belt. Can you tell me a bit about the evolution of your barrel program and where you want it to go? “The initial barrel fermented beers were a fun way to introduce some barrel character to a few of our quicker turnaround sours, which at the same time extracted a lot of the character from the barrel so that the next use would be a bit more neutral for aging. Whenever we get new barrels in, we like to do a quick fermentation in them, then after they’re typically at a good stage for longer barrel aging. Which is where we’re at now with a lot of our barrels. The Wild Shack is becoming a bit of a phenomenon around Montreal. 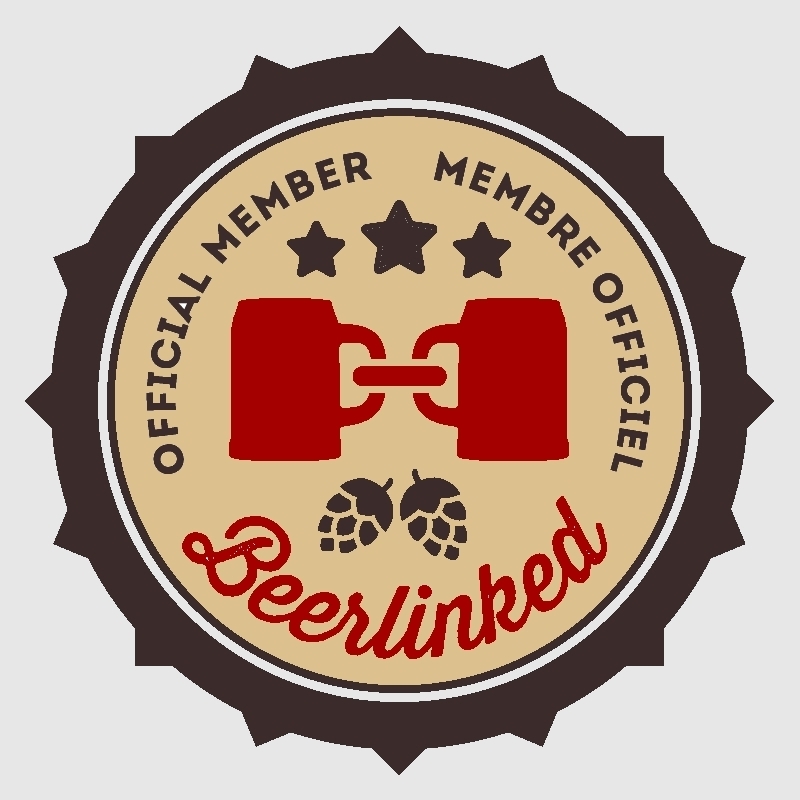 What was it like to collaborate and brew with them? How did you come to decide on the specifics behind Missing Link? “It was great! Max & Remi are very talented brewers! 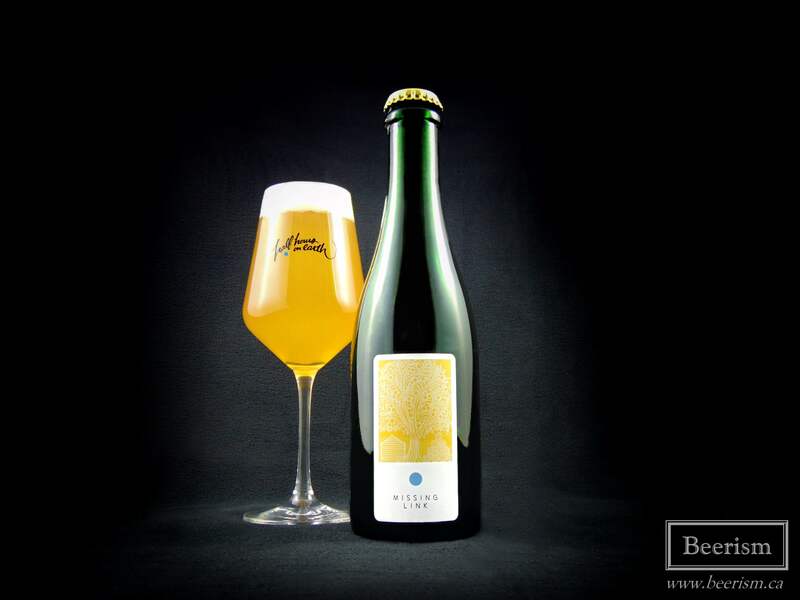 We hadn’t actually tried any of their beer until the day of the collaboration, but we could tell beforehand that we were on the same page with the styles and focus of the beers we both make. Unfortunately Max could not make it to the brew day, so we hope we can one day collab again with everyone there! Half Hours on Earth has started to gain a larger following as time goes on. More and more people are starting to realize just how spectacular and original the beers you produce really are. If the hype eventually starts getting out of hand, would you consider expanding? What’s the future for Half Hours? “We are unaware of any hype, if it’s out there, we don’t see anything getting out of hand really. There are no line ups for releases, we don’t have limits, and it’s very difficult to miss out on any of our beer if you visit our website once per week. It’s certainly a unique situation we’re in (given our location) as we do focus a lot on our online sales. And when customers do make the drive to visit and pick-up an order, it’s rarely rushed or crowded in the retail area, so we have time to let them sample and chat about the beer. Well, if I wasn’t excited to dive right into these barrel-aged monsters before, I most certainly am now! Let’s begin. Let’s begin with Missing Link as it’s the beer I’m most excited to dive into. 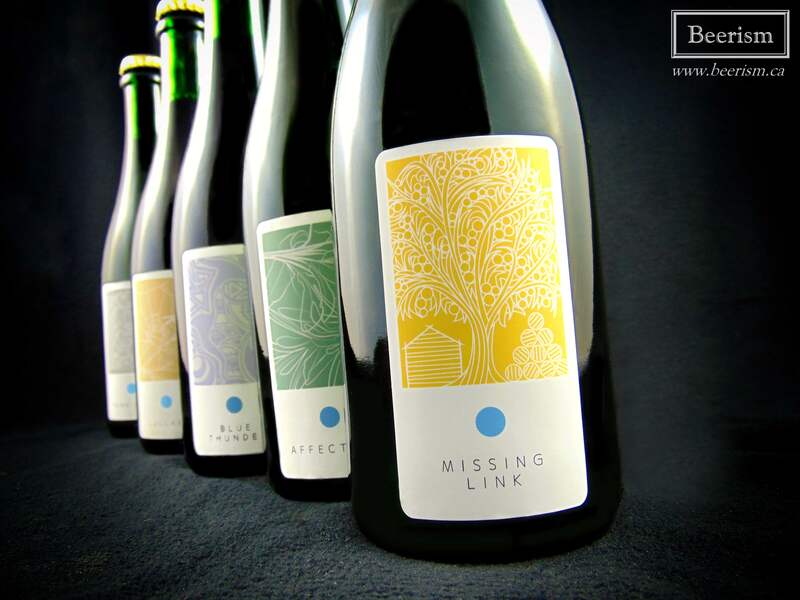 As mentioned, Missing Link was brewed in collaboration with the Boys from The Wild Shack. It’s a sour ale brewed with Indian long pepper, aged in Syrah wine barrels and re-fermented with nectarines. It pours our a slightly opaque bright orange colour with some bustling effervescence. A thick white foamy cap rests atop the beer, seemingly unchanged for the whole drinking experience. The nose begins with a bright mix of nectarine juiciness and light oak spiciness. The long pepper perfectly compliment the fruit, providing that hard to describe oily and fragrant funk that in-itself carries a certain fruitiness. If you are unfamiliar with Indian long pepper, (for me) they share a similar aroma to white peppercorns. The wild phenolic yeast funk also adds further layers to this nose, completing a trinity of aromatic brilliance – pepper funk, nectarine juiciness, and bretty barrel dustiness. The palate – wow, where to start here. Okay, so first-off the nectarines are very prominent and are certainly the star of this beer, but you don’t feel like you’re drinking a giant jammy sour. It’s bright, fresh and juicy, but it finishes perfectly dry. The wine barrel notes are there, but not extremely apparent, acting more as an afterthought, lending a subtle tannic tang in the finish with some light oaky vanilla notes. The long pepper is – for me – the really icing on the cake. As I mentioned when talking about the nose, the pepper has this almost bizarre funk to it, and when you mix that with the brett-induced phenols – which themselves carry a dusty and musty funk – AND the bright juicy sweetness of the fruit, a certain melding of flavours comes through, in the best possible way. The acidity is actually quite restrained if compared to the usual HHoE and Wild Shack sours. Instead, it’s a far more balanced and accessible beer that goes down extremely smooth, carrying a creamy body and perfect carbonation. The barrel and Syrah grapes add a certain tannic tang, lending to the dryness and overall fruit profile. This is easily the best things I’ve drank so far this year, and it will be hard to surpass. 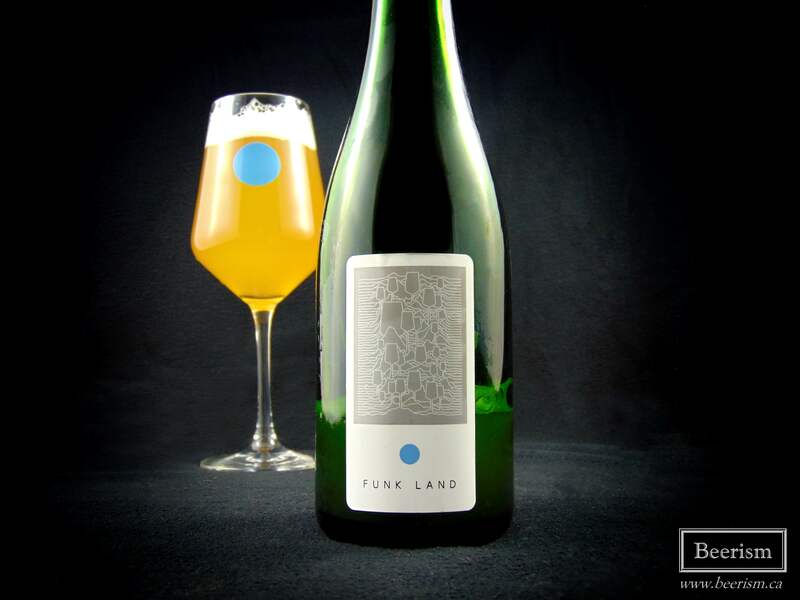 This latest edition of Funkland is a Merlot barrel-fermented young farmhouse ale, dry hopped and then blended with a golden sour aged eighteen months in Chardonnay barrels.The nose is a dusty and funky brett bomb, delivering all kinds of musty basement and old books to my senses. All this is mixed with fruity accents, like apple, pear, and some cantaloupe. I’m getting acetic notes as well, lending light balsamic to the aromatics. Like the nose, it’s fruity up front, but with a bit more juiciness all around – tropical fruits mixed with apple and pears. The acidity is also apparent, but rather balanced overall, and the barrel is present as well, lending oak tannins and spicy notes to the mix. The finish is long, dry and sour, providing a lingering tartness and subtle fruity hop notes. As mentioned on the nose, there are some light acetic components as well, which add a subtle white balsamic tang in the finish. I wasn’t huge into this one, but I do have trouble with vinegar notes in general in beer. 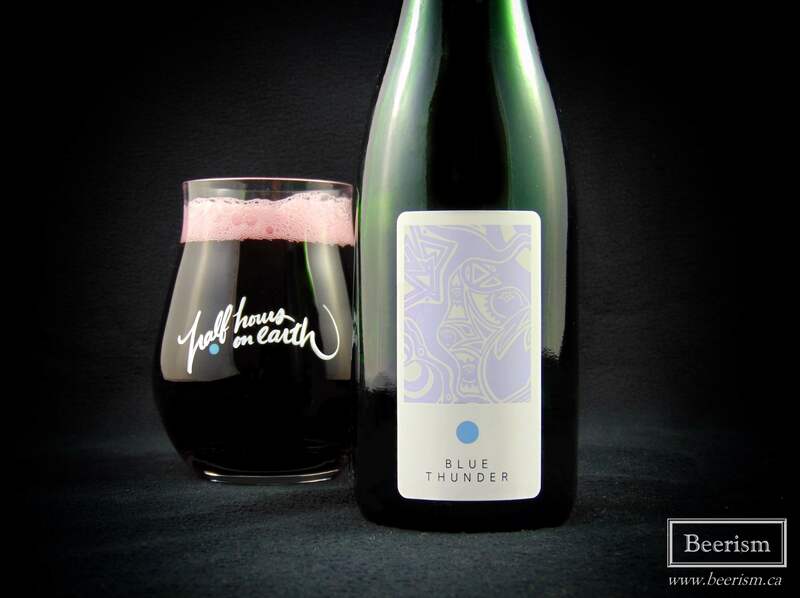 Blue Thunder began as a golden sour ale. It was then aged in Syrah barrels and re-fermented with a huge amount of blueberries. The nose is a beautiful mix of rich wine soaked oak, carrying a luscious and vinous complexity alongside some vanilla accents. Blueberry pie aroma comes through next, with a bit of earthy funk at the end. The palate matches, providing robust and tannic red wine essence at the front, followed by a balanced but apparent acidity. The fruit is present, but understated in a way that actually works brilliantly, lending just enough jammy blueberry goodness to balance the wine-soaked oak. It’s extremely dry, but still feels rounded by the fruit. The tannic wine presence is intense, but everything really works brilliantly. Blueberries don’t always blow me away in beer, but this is divine. Wow! 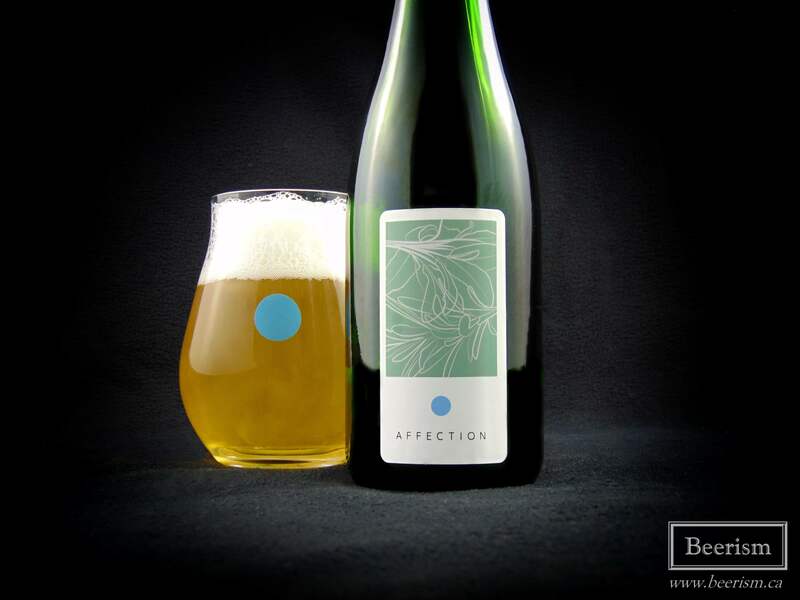 Affection is a spelt farmhouse ale, brewed with sage and rosemary, then aged in Chardonnay barrels for seven months. The nose starts with lots of herbal notes, carrying sage at the front followed by light piney rosemary aromatics. Some tangy lemon notes come through as well, with light oak and subtle Brett funk. The palate is a bit more restrained in the herbal department if compared to the nose, but it’s still the focal point here. Lots of citrus meets a spicy, almost gruit-like base, carrying lots of rosemary in the finish. The herbal notes are balanced and work really well with the pretty aggressive acidity. Sage brings an almost cinnamon-like flavour that works very well against the spicy oak layers. There are some light floral honey notes as well, and a refined tannic barrel presence that cuts everything dry. Overall, Affection is balanced, complex, and quite drinkable. Delicious stuff. Although this is the last beer I’m talking about today, it’s also the first barrel-aged beer that Half Hours on Earth released last year. 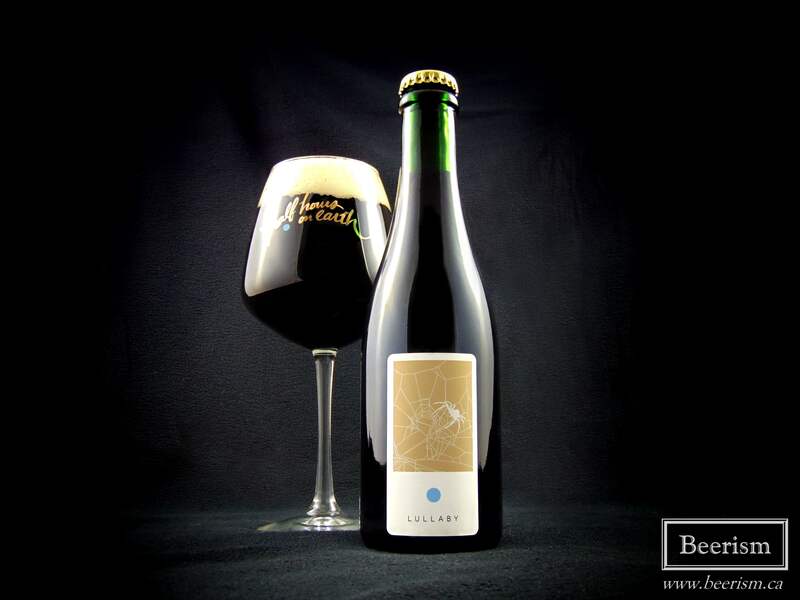 Lullaby is a dark farmhouse ale, brewed with rye and dark Belgian candy syrup. It was then aged on oak. The nose starts with subtle dark chocolate, spicy oak, and lots of rich red wine. A bit of mocha mixes with ripe red fruits and some light citrus acidity. The palate matches, with a lovely and subtle dark malt base that carries light espresso and fruity dark chocolate. The oak is on point, delivering a tannic and wine-rich complexity that works brilliantly with the stout-like base. There is certainly an acidity here, but it’s pretty restrained, carrying a delicious tangy flora with with it, and is further complimented by the barrel. The balance of the dark roast with the fruitiness of the barrel and the dusty brett funk is perfectly aligned. This is great. Whenever I drink beers from Half Hours on Earth, I want to run around telling everyone I know to order some – and I guess with the post, I’m kind of doing that. HHoE is certainly popular, but I’m often flabbergasted that their beers don’t sell out immediately, and that the hype isn’t more insane. I imagine that in time their already rising popularity will just continue to soar. Until then, the folks who have discovered how amazing these beers are can continue to order packages in the mail, while others still line-up and fight over their Milksharks. 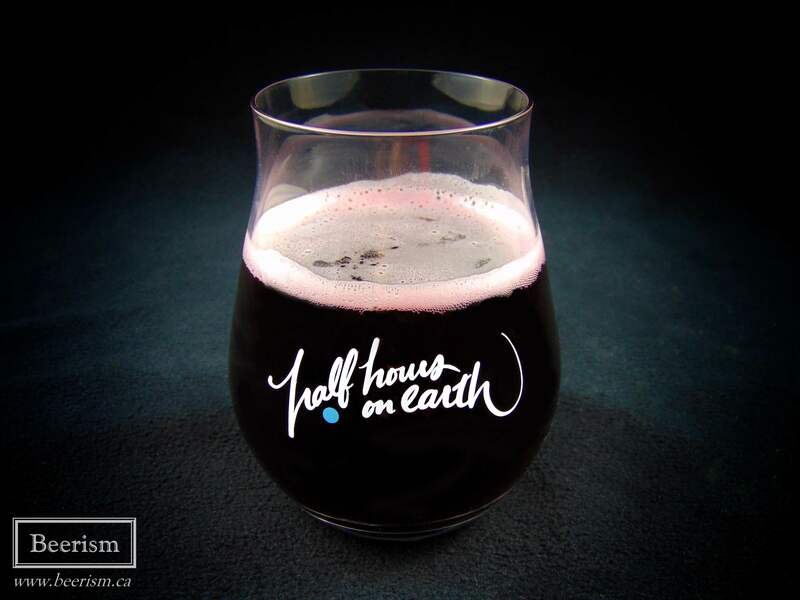 If you would like to order beers from Half Hours on Earth (which I highly suggest), you can do so on their website, right here.